We learn the planets of the solar system as children, and many school kids could probably name the planets in order of magnitude. We’ve learned far less about those planets’ moons. Knowledge of the moons is greater than ever, thanks to long-range probes and vastly powerful telescopes. That knowledge is important, too. We can learn about how the solar system was formed, and we may one day rely on those moons for important substances to power futuristic engines. Learning which moons are the largest is a great place to start the educational process. The tenth largest moon in the solar system is the second largest orbiting Uranus. We learned more about the moon after the Voyager 2 probe visited Uranus in 1996. We discovered that Oberon is half rock, half water ice and pocked with craters. Those craters are covered with a mystery substance that some experts believe to be sediment from water when it once covered the surface. Herschel named Oberon after the Fairy King in Shakespeare’s A Midsummer’s Night’s Dream, and all its craters are named after Shakespearean characters. Due to Uranus’s position as it orbits the sun, Oberon spends 42 years in total darkness and 42 years in the sunlight. Rhea is Saturn’s second largest moon. Scientist’s refer to the moon as a “dirty snowball” because it is composed mostly of rock and ice. The temperature on this moon rarely rises above minus 281 degrees Fahrenheit despite the significant sunlight it receives. One of the most striking features of the moon’s surface is the cracks that stretch hundreds of miles across and hundreds of feet in height. They are actually canyons formed by the tectonic shifting of surface plates. Rhea is the only moon in the solar system with an oxygen atmosphere, though there isn’t nearly enough to sustain human life. The probe that provided us with most of the information we have on the moon is named Cassini-Huygens, after the astronomers who taught us the most about Saturn. 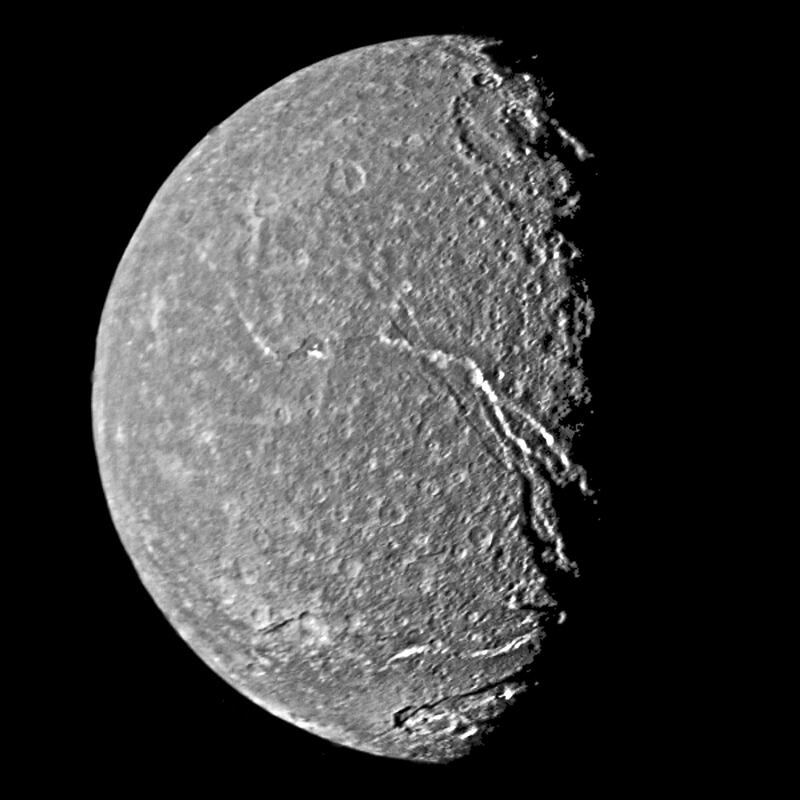 Sir William Herschel discovered Titania at the same time as the other Uranus moons, and it is also named for a Shakespeare character. It’s another “dirty snowball” moon, though this one has a rocky core at its center with an ice/rock mixture near the frozen surface. “Frozen” seems too tame a word to describe the average temperature on Titania which is a brisk minus 212 degrees Fahrenheit. As with Oberon, the Voyager 2 probe filled in information that Herschel could not have discovered, like the evidence of tectonic activity on the surface. There is a 1,000-mile long trench across the surface of Titania that astronomers believe tectonic activity is responsible for creating. It is likely several hundred miles across. 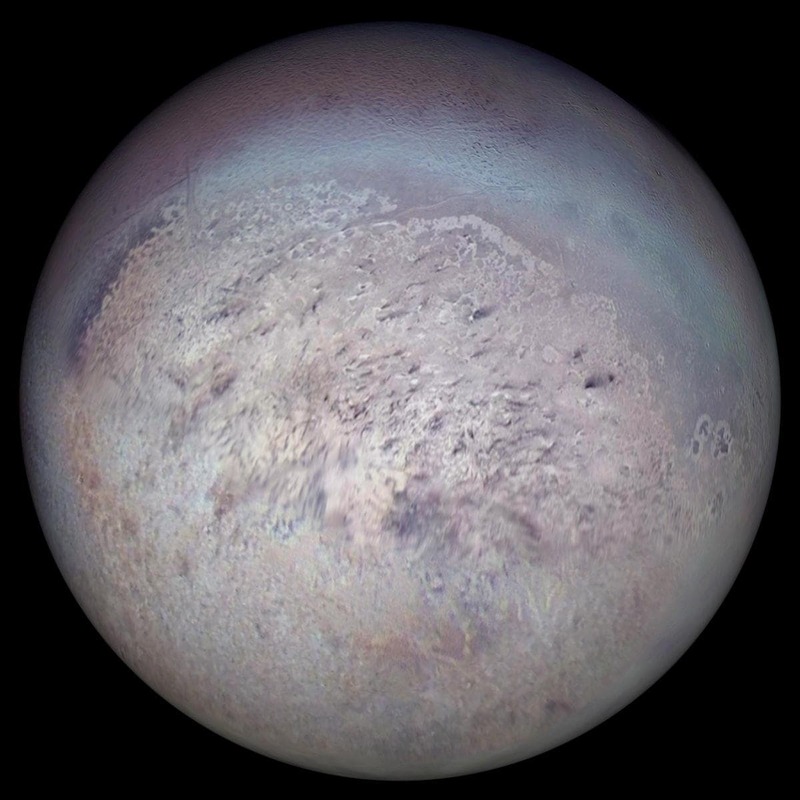 Triton is the largest moon orbiting the planet Neptune. Astronomers believe that the moon was originally a body floating in the Kuiper Belt. The Kuiper Belt is a region of dust balls, asteroids and dwarf planets like Pluto. Neptune captured Triton with its gravitational pull. 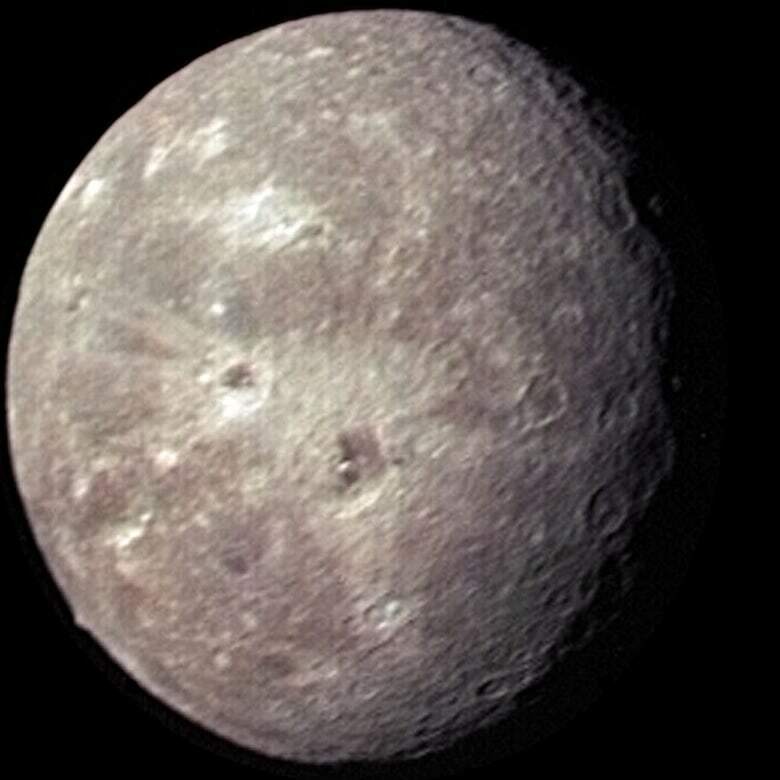 Like Oberon, Triton’s orbit forces it to face the planet it orbits all the time; however, it does get more sunlight. Despite getting more sunlight, it is colder than Oberon, reaching minus 380 degrees Fahrenheit at times. Triton is one of four bodies in the solar system that is currently volcanically active. 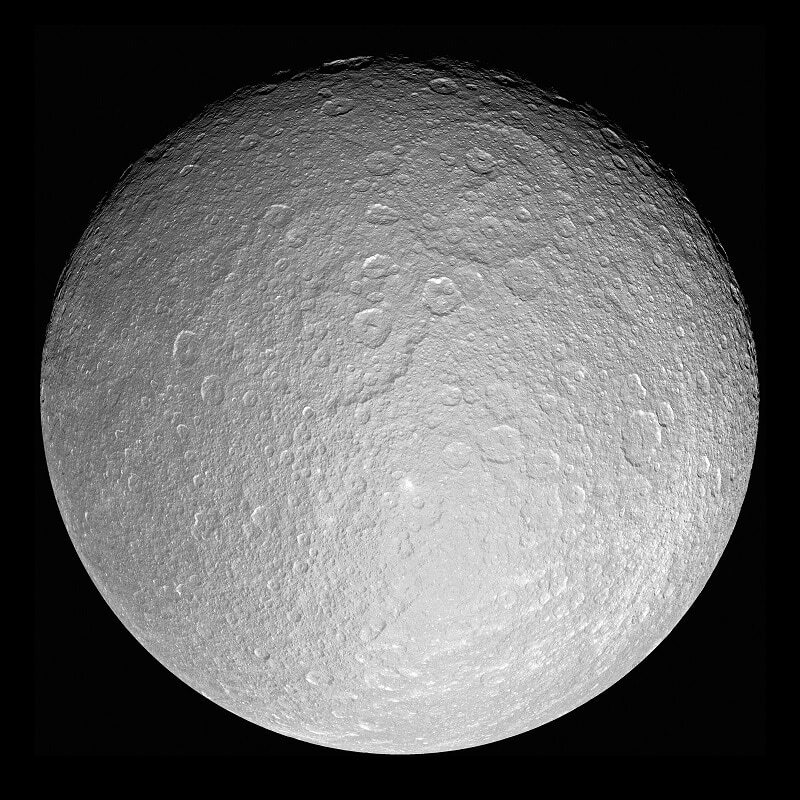 Its surface is smoothed by lava and has fewer craters than other moons. Europa may not be the largest moon in the solar system; however, it has drawn the most attention from scientists and astronomers. Because it likely has an ocean of salt water underneath its frozen surface, it is one of the most likely places to see life as we know it exist on another celestial body. NASA sent the Galileo probe to study the moons of Saturn and it returned a significant amount of information that excited observers. It yielded enough clues to the potential for a habitable environment that NASA is sending another probe. This probe will be armed with tools to peer through the planet’s heavy radiation and underneath the icy surface. 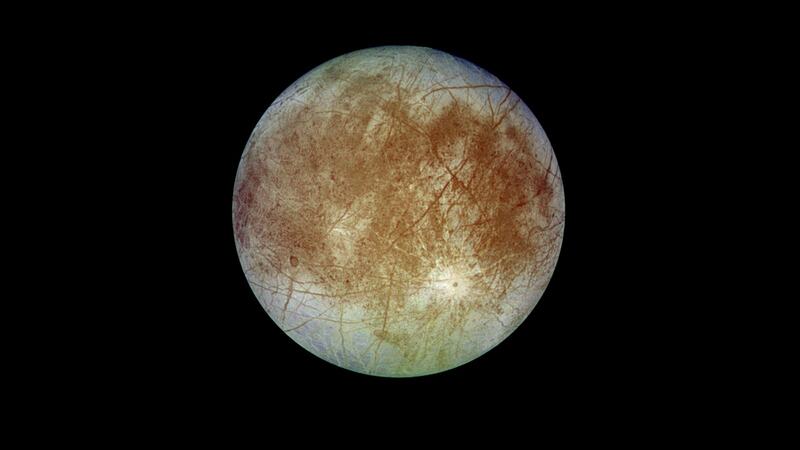 NASA helped fund a movie, Europa Report, to show the possibilities that may occur if humans explore Europa. As long as humans have looked up to the sky, and possibly creatures that pre-date human kind, we have wondered about the Moon. We’ve written fiction about it and worshiped it as a god. Thanks to modern science, we know more about the Moon than ever. Our moon makes life possible because it stabilizes our orbit. Without it, the environment would be too chaotic for life as we know it to exist. Life could not exist on the moon. The atmosphere is too thin and at minus 457 degrees, far too cold. The Moon’s gravity causes tides in our oceans, playing a significant role in human and animal development in a number of ways. Humans have sent over 100 spacecraft to explore the Moon. 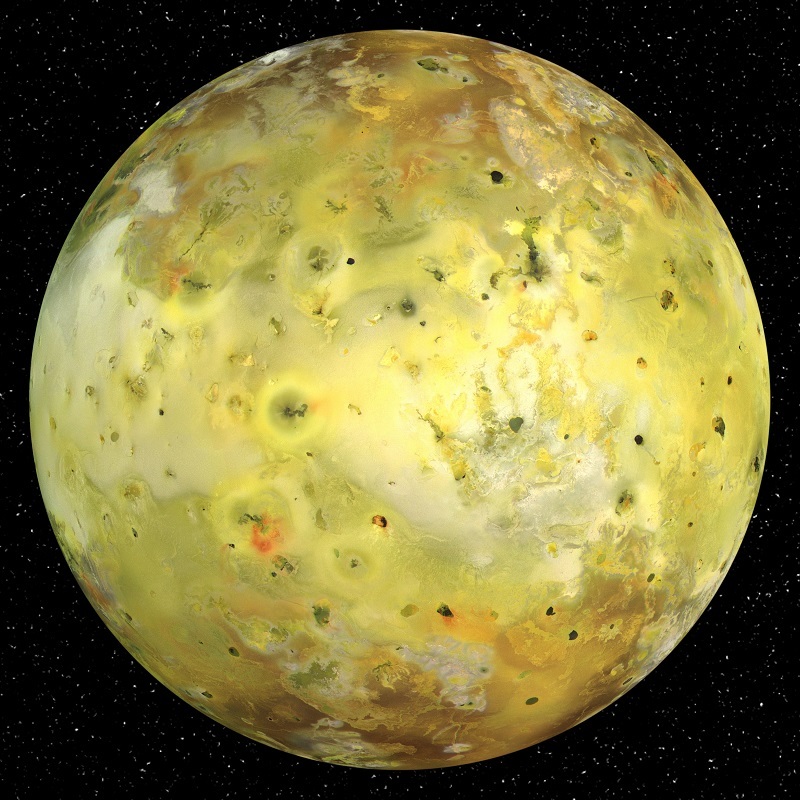 Io is one of the most visually distinct moons thanks to it being the most volcanically active astronomical body in the solar system. The constantly raging, massive volcanoes shoot lava into space for miles, and the Sulphur dioxide left behind makes the moon appear yellow from space. Caught between the gravitational pull of Jupiter and two other moons, Io’s surface is constantly in flux. The surface is also affected by the lava pouring from the volcanoes and the excessive energy generated by the moon passing through Jupiter’s powerful magnetic field. The lava shoots so high into space from Io’s surface that if you have a strong enough telescope, you can see the volcanos from Earth. 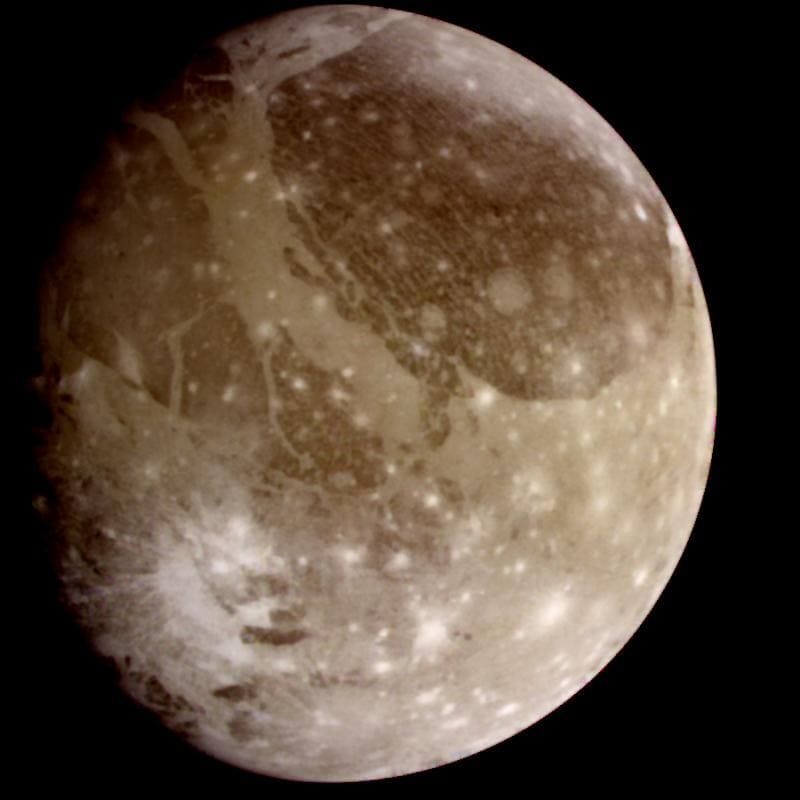 Scientists considered Callisto to be Jupiter’s boring ball of ice and rock until the Galileo probe provided evidence that there may be a salt water ocean beneath the moon’s surface. That indicated that there would be a chance for life to have evolved as some scientists imagine may have happened on Europa. However, there doesn’t exist conclusive evidence either way. 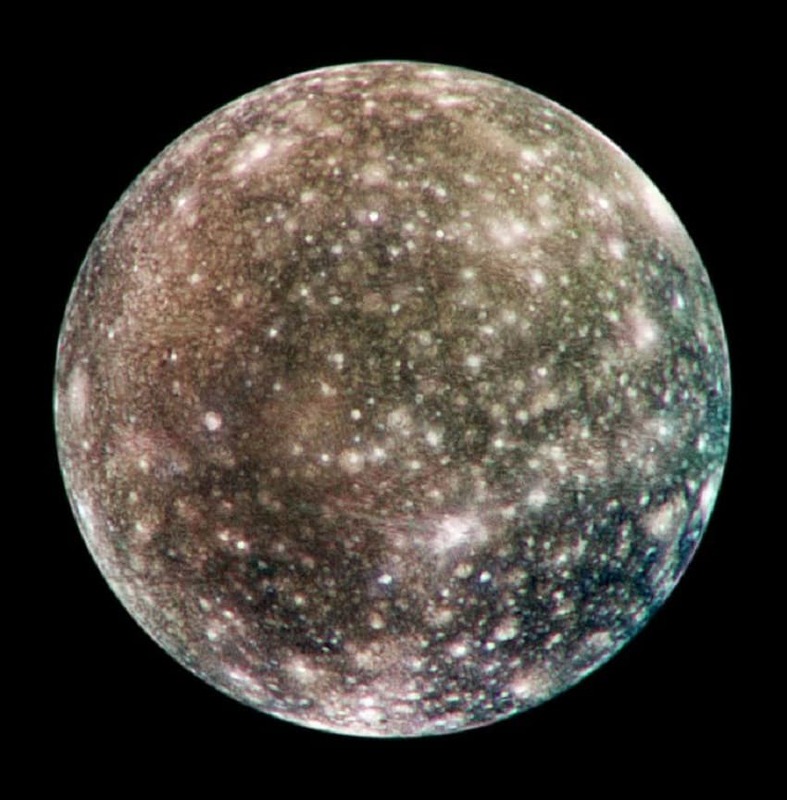 Otherwise, Callisto is an average astronomical body with the exception of its size, 2.5 times smaller than Earth. That’s nearly the size of Mercury. Some scientists theorize that the moon is a collection of leftovers from when Jupiter formed as a planet. Saturn’s largest moon has a full-blown atmosphere like a planet. That means it has a body of liquid on the surface. However, that liquid isn’t water, it’s methane and ethane. So then, the atmosphere is made of substances inhospitable to life on Earth. Still, that makes Titan the only celestial body outside of Earth with a stable liquid at the surface. The moon isn’t so stable; however, that it could currently sustain some form of life. Yet, scientists speculate that Titan in its current form is similar to that of Earth prior to the formation of land mass. It’s currently too cold on Titan for life to evolve from such conditions. 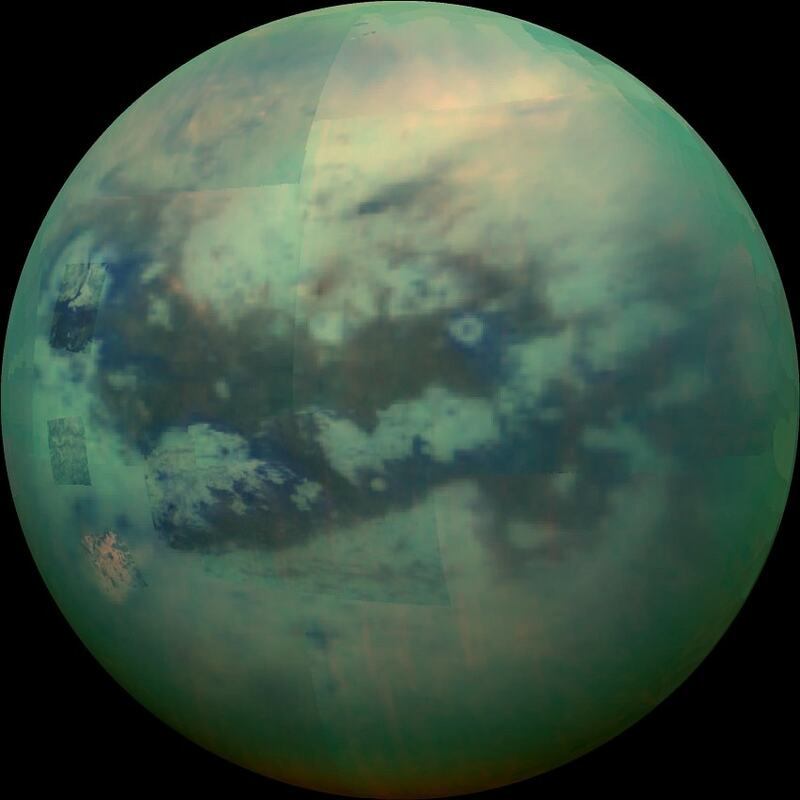 Some scientists theorize that a methane-based life form could now exist and evolve on Titan. Ganymede is the largest moon in the solar system. It’s big enough to be considered a planet as it’s larger than Mercury and Pluto. Similar to planets, Ganymede has three layers; a metallic core, a rock shell and an icy surface. 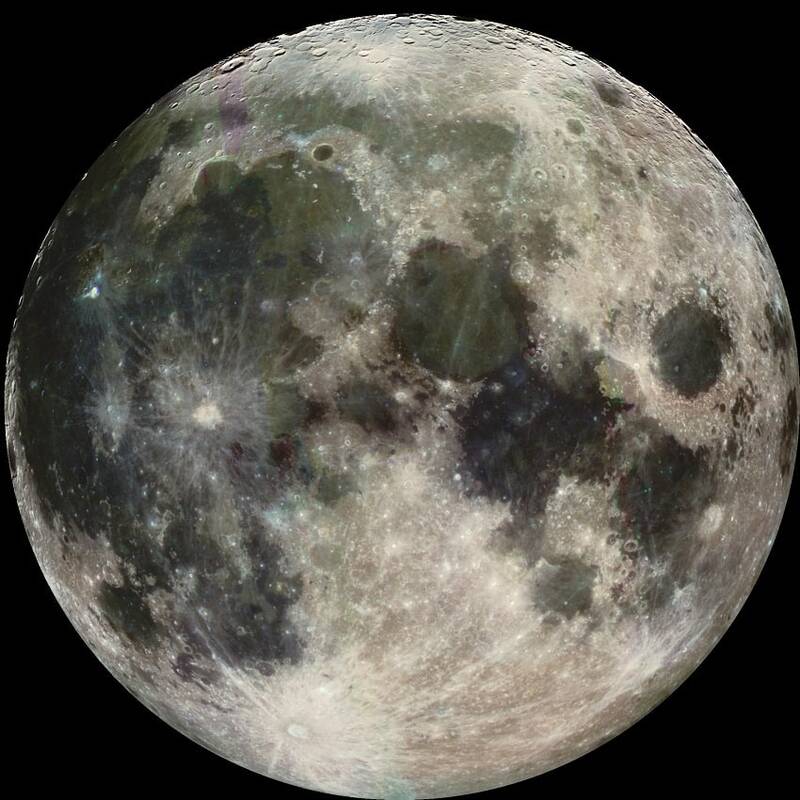 The metallic core causes the moon to emit a magnetic field. It’s the only moon in the solar system that generates its own field. The field causes auroras at its north and south poles similar to the Aurora Borealis on Earth. A German astronomer, Simon Marius, discovered Ganymede at the same time as Galileo. Galileo published first, so then he receives the credit.